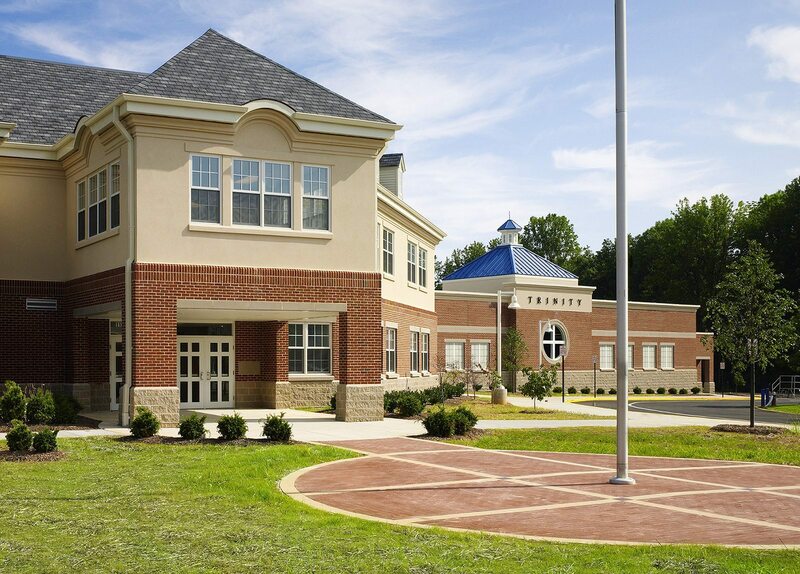 A few years after successfully completing its first building on its 25 acre site in Fairfax, Virginia, Trinity Christian School came back to Helbing Lipp Recny Architects to design its upper school, to separate the high school students into their own facility. 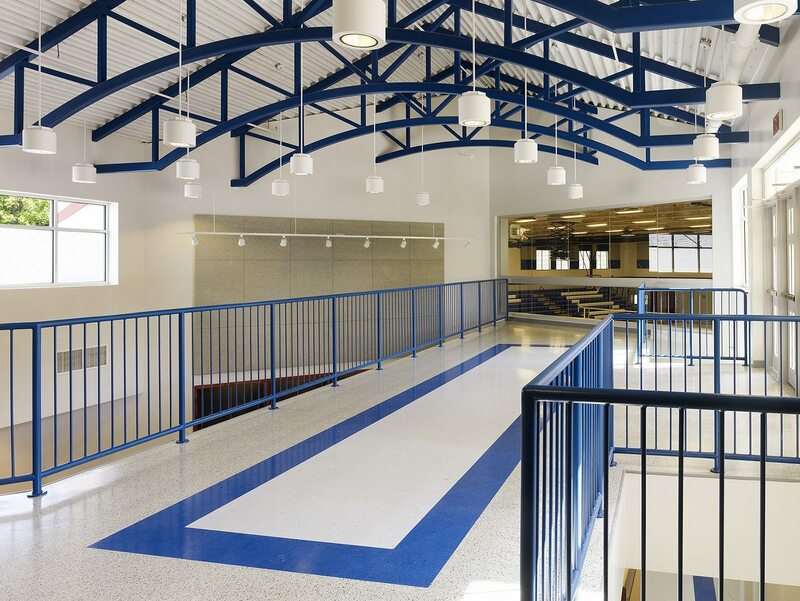 With the character of the facility established earlier, the upper school echoes the traditional design elements of the first facility. Careful attention was paid to setbacks required for the septic system, play areas, and outdoor athletic fields. The administration and classrooms are in a three-story wing that overlooks a large lake. A l library and media center are part of this wing. In the lowest level, there are locker rooms, a weight room, and offices for the athletic staff. 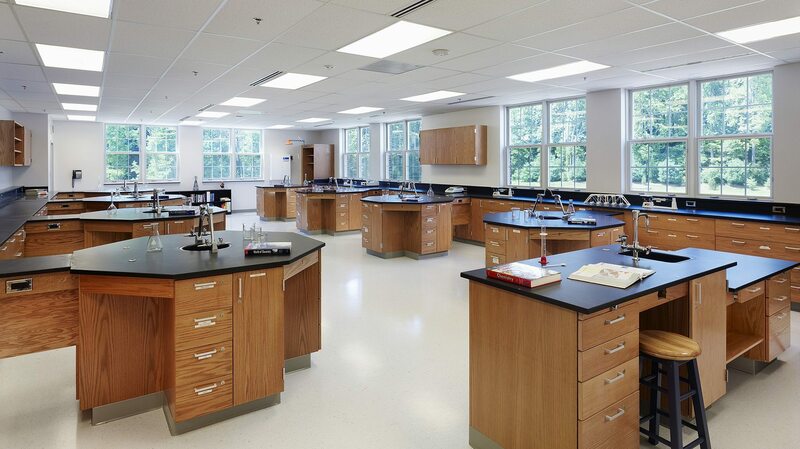 In addition, a spacious common area and kitchen serves as the lunch facility for the students and overlooks the athletic fields. Adjacent to the classroom wing and commons, there is a 10,000 seat gymnasium facility, with full size basketball courts and a performance stage on one end. Behind the gymnasium is a state-of-the-art fine arts facility, with a band room that offers direct access to the performance stage in the gymnasium.